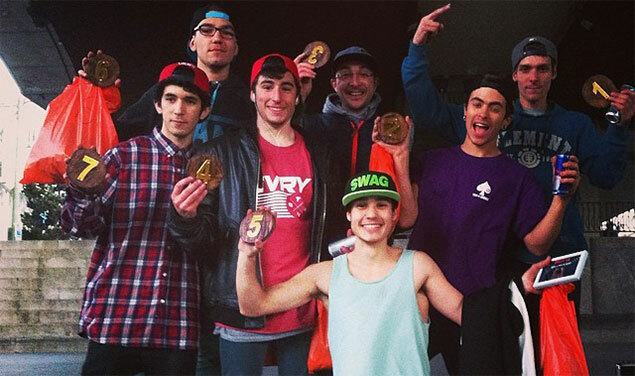 Today the Chulapo Jam took place in Madrid, Spain. The concept was a little different. It was supposed to be held at different locations and with many little challenges like hitchhiker limbo and bunny hop contests. Quentin Pelorson who came over from France won the regular contest. Congratulations!